DETAILS FOR Kick Off Next Semester With Foster The People! Kick Off Next Semester With Foster The People! Comments Off on Kick Off Next Semester With Foster The People! Formed in Los Angeles in 2009 by multi-instrumentalist singer/songwriter Mark Foster, indie rock trioFoster the People is known for their melodic and atmospheric, dance-oriented pop. Their single “Pumped Up Kicks” picked up considerable buzz online and alongside packed performances at Texas music showcase SXSW. This inevitably garnered the attention of major labels, which they signed to Columbia’s Startime International. The song became a worldwide hit and was featured on television shows including Gossip Girl, Homeland, and a host of commercials. The band released its debut record, Torches, and then embarked on tours across North America and Europe to support its release and were even invited to play at the Coachella Music Festival. In 2012 they took home the Billboard Music Awards’ Top Rock Song accolade, and were nominated for a host of others honors, including Grammy, BRIT, NME, and Teen Choice awards. 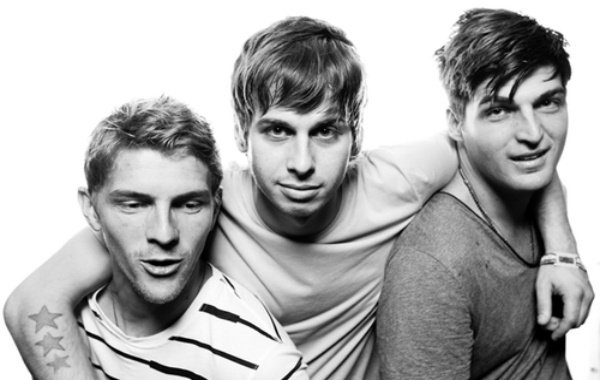 In 2014, Foster the People returned with their sophomore album Supermodel and are currently touring in Europe in support of that release. They will be at Penn State’s Bryce Jordan Center on Friday, September 5 at 8pm. Tickets go on sale this Friday, June 27 at 10am at the Bryce Jordan Center, Eisenhower Auditorium, Penn State Downtown Theatre, online at www.ticketmaster.com, or by phone at 800-745-3000. Tickets for GA and reserved theatre seats are $39 and 35.50. University Park students are $20 with valid Penn State ID courtesy of UPAC. A UPAC presale will be Wednesday, June 25 from 10am until Thursday, June 26 at 6pm at the Bryce Jordan Center, Eisenhower Auditorium, and Penn State Downtown Theatre only. Note: Only a limited amount of UPAC tickets are available.